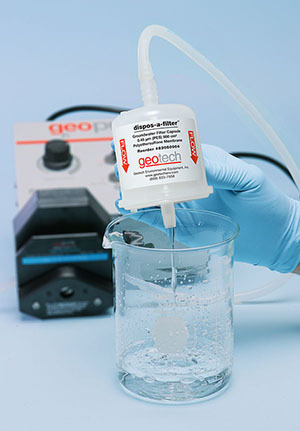 The new Geotech PES (Polyethersulfone) dispos-a-filter™ Filter Capsules are premium filters designed to prepare water samples for trace metals analysis. They feature self-contained absolute rated pore size membranes that are scientifically designed to meet U.S. EPA filtration regulations. Also new are Polypropylene membrane (PP) dispos-a-filters™. They feature 900 cm² capacity in 1.0μm, 5.0μm, and 10.0μm pore sizes. All Geotech dispos-a-filters™ are manufactured in a clean environment under controlled conditions. 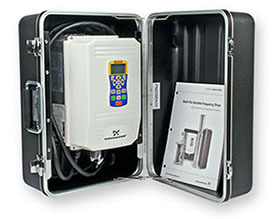 Lots are tested by an independent laboratory using EPA-approved test methods. The COA (certificate of analysis) report is accredited by ISO/IEC 17025 compliance. 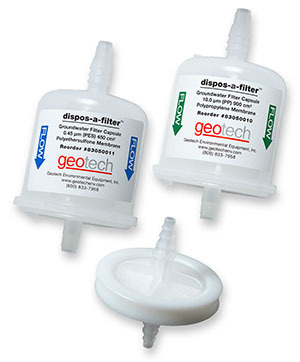 When field or laboratory filtration is required, Geotech dispos-a-filter™ Filter Capsules are perfect for maximum flow capacity and retention of particulate matter. Geotech Environmental Equipment, Inc. is proud to announce its 40th year in business! 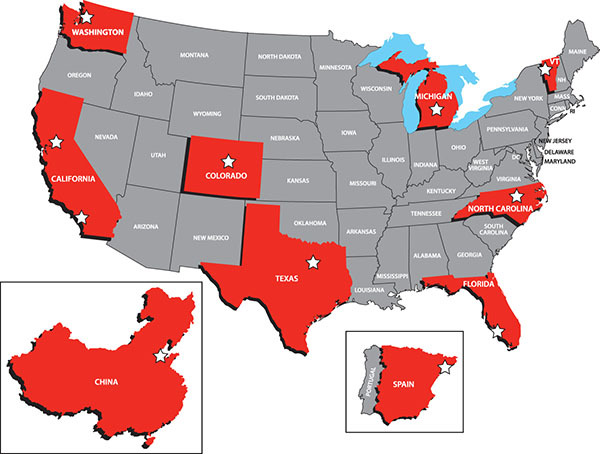 Geotech's 40-year legacy includes partnering with industry enterprise to support some of the most globally recognized sampling and remediation equipment technology available. This anniversary celebration has become about reflecting on the past. It's about realizing what the future has in store for our great company. It's about meeting the needs of customers around the world and making the communities in which we live and work better places. "We are humbled to have met this milestone," said Jeff Popiel, President of Geotech. 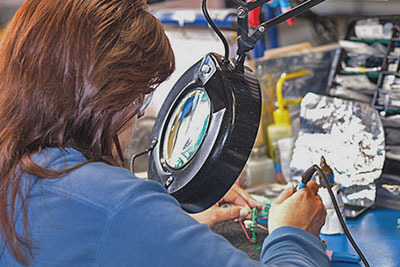 "We have dedicated 40 years of design innovation and refined manufacturing to provide our customers with the highest quality products and services." 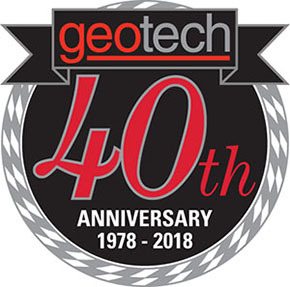 To commemorate the 40th, Geotech will be offering monthly equipment promotions, discounts towards drone flight training courses, and hosting the "must attend" 10th Annual Field Days event. Watch for our monthly newsletters for additional details and new promotions. On behalf of the 124 employees here at Geotech, "We thank you for your business!" 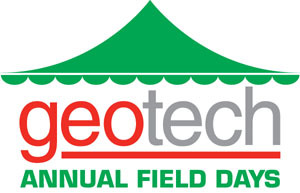 If you're interested in harnessing equipment and application training while networking with other industry professionals, Geotech Field Days 2018 is the event for you. 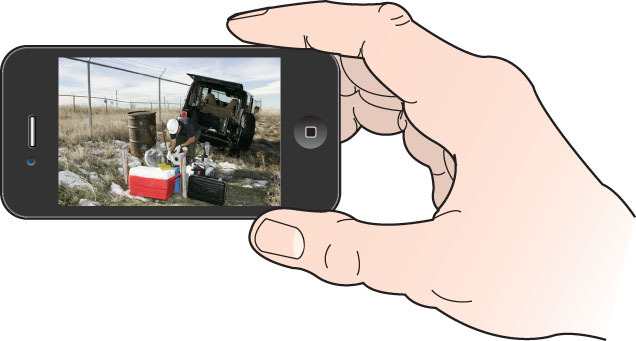 Field Days is an event that brings all things environmental into sharp focus WITHOUT CHARGE. Join more than 200 industry leaders and forward-thinking presenters to learn the latest on policy, use cases, and equipment application training. Field Days is the spot for an interactive experience balanced with education. Through February, Geotech will provide a no-cost comprehensive evaluation report on any equipment returned for maintenance, repair, or calibration. Geotech technicians are factory trained and certified to service most major brands of pumps and instrumentation. Geotech averages a one-week turn around on most service and repairs. Geotech is constantly adding new rental equipment to the fleet. Pre-owned equipment is refurbished to meet manufacturer specifications and then discounted to sell. Don’t worry! All pre-owned products are backed by Geotech’s performance warranty. Check back often, pre-owned equipment rotates often. View our current pre-owned equipment list. 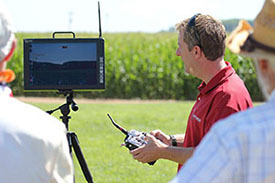 Geotech's interactive training experience builds Unmanned Aircraft System (UAS) aviation confidence with professional drone flight instruction. Geotech's pilot instructors have more than 50 years of combined aviation experience. Mark your calendars for the 2018 SME Annual Conference & Expo and 91st Annual Meeting of the SME-MN Section in Minneapolis, Minnesota. The conference provides a forum for more than 6,000 industry professionals from across the world to share innovative ideas, best practices and cutting-edge research in more than 120 technical sessions along with an expansive marketplace of more than 550 exhibiting companies. Look for Geotech in the Exhibition area, we will be in Booth 2328. Reach new heights in the solid waste industry by being an intergral part of SWANApalooza 2018. Geotech will be onsite displaying the latest in groundwater sampling, leachate management, air quality instrumentation, and unmanned mapping technology. Stop by booth 621 to learn more. Join us in Westminster, Colorado for the Emerging Contaminants Summit. The summit focuses on the latest developments in the detection, fate and transport, risk assessment, treatment and regulation of emerging contaminants. Please stop by to visit us at Booth 1657. Geotech customers receive a 20% discount to attend. Simply follow these instructions. Agree to the "Terms and Conditions" and click Submit Registration. March 2018 will mark the twenty-eighth annual gathering of environmental professionals to the Conference on Soil, Water, Energy, and Air. For 28 years, this annual conference has helped to bring the environmental science community closer together by providing a forum to facilitate the exchange of information, technological advances, new scientific achievements, and the effectiveness of standing environmental regulation programs. Tailor Your Projects for Data-Driven Success! This two-day workshop offers participants access to theoretical expertise provided by SonTek hydrologists and engineers, and useful tips to get you collecting data faster and more efficiently. The event includes an outdoor field trip for live product demonstrations. The Colorado Mining Association (CMA), founded in 1876, knows something about survival and adaptation. The 120th National Western Mining Conference & Exhibition is the largest mining event to be held in the Rocky Mountain region in 2018. Connect with hundreds of mining professionals and exhibitors at this must attend industry event. Look for us at Booth 210. Follow us to beautiful Palm Springs, California, to attend Battelle's eleventh in a series of international conferences. The Conference offers 9 extensive technical tracks with more than 1,100 platform and poster presentations, educational opportunities, exhibits and hands-on demonstrations from leading companies, as well as enhanced networking with national and international remediation experts. A Learning Lab, new in 2018, will be centrally-located in the Exhibit Hall. The Learning Lab will consist of hands-on demonstrations highlighting specific technologies, tools, and software. Please visit us at Booth 209 while you are there. AUVSI's XPONENTIAL is the largest event for drones, robotics and unmanned systems. With over 725 exhibitors from multiple domains and industries — it's the event to demonstrate and experience innovation, integration and interoperability. Visit Leptron at Booth 2442 where we will offer consultations about how you can use unmanned aircraft in your environmental projects. 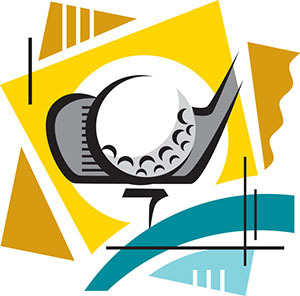 Along with the conference, there is an exposition for professionals to exhibit their goods and services. Visit us at Booth 405. Visit Geotech at Booth #1625. Prices and promotions mentioned in this newsletter are valid through February 28, 2018. © 2015-2018 Geotech Environmental Equipment, Inc.